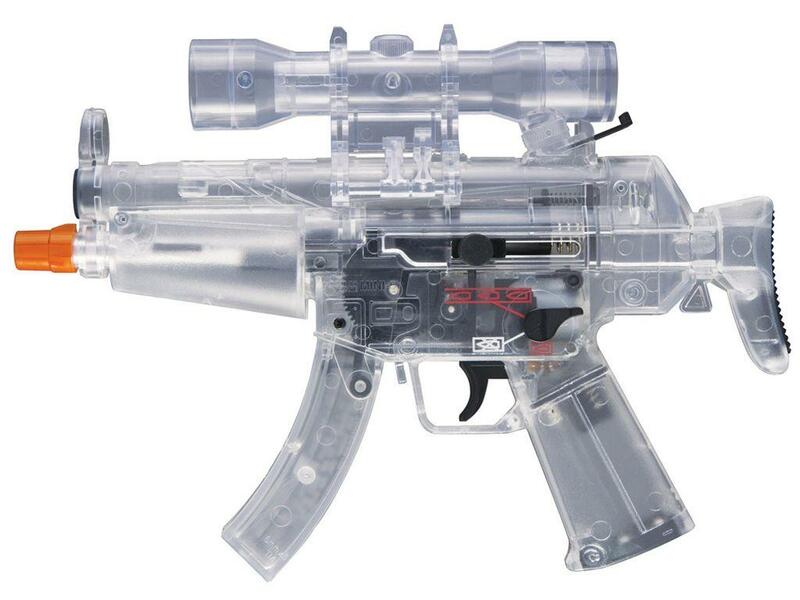 Buy Cheap Combat Zone Mini 5 Clear Pistol | ReplicaAirguns.ca | New Website! Comments: This dual-powered Mini-5 airsoft gun by Umarex is an easily concealable weapon for airsoft skirmishes. 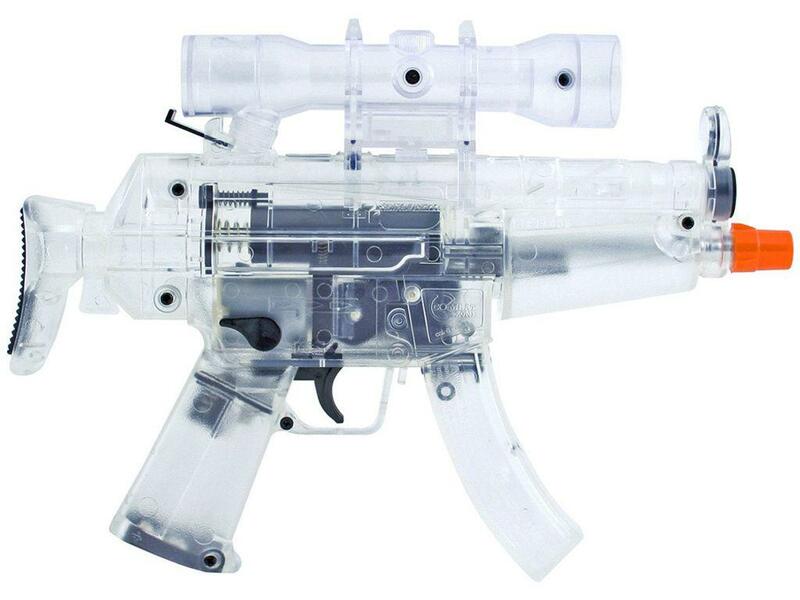 Shown in clear/black finish, this gun is spring and battery powered and has a fully functional fire selector switch. The Mini-5 features semi/fully automatic firing, a built-in 200 round magazine, and a shot velocity of 125 fps (using .12g BBs).